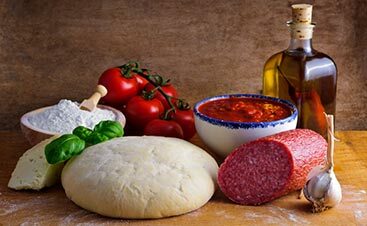 So you have the crust, the sauce, the cheese, you have your favorite choice of toppings, pepperoni, sausage, mushrooms, etc., but what about those little ingredients on the pizza that you may not really pay attention to, but can oftentimes make the pizza so amazing? Basil, oregano, pesto, spinach, and arugula — these ingredients, which may not count as “toppings” but add a deep and rich flavor that would otherwise leave the pizza tasting empty. These green ingredients need some recognition! They do a lot of the work backstage and are often not seen on stage, but it’s time to give them their time in the spotlight! Like spinach and kale, arugula is considered a “leafy green” that, for many, needs to stay on the shelf of the produce department or on other people’s salad plates. 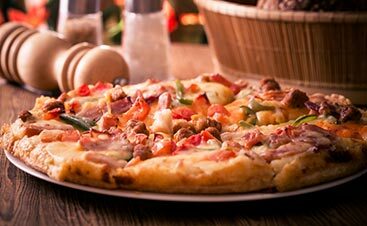 However, on a pizza, this peppery vegetable can be used as a chunky garnish on top of the pizza, or diced and incorporated into the sauce of the pizza. Either way, with some lemon, prosciutto, some sun-dried tomatoes, on a chewy and slightly crispy crust, you’ll be wondering why you never tried it before. Whether it’s in the sauce of your favorite pepperoni pizza, the perfect complement on your margherita pizza, or chopped to add some flavor to your frozen pizza at home, you can’t go wrong with this favorite herb. Basil, tomato, and mozzarella are a match made in heaven, making any pizza with these three ingredients high on our list. The mildly sweet and somewhat minty flavor, combined with the creamy texture of the mozzarella, and the fresh flavor of the tomato, each bite will be perfect. Just like tomato and basil pair so well together, spinach and several varieties of cheese create a flavor profile that belongs on pizza. The yeast of the dough, perfectly cooked spinach flavor, nutty parmesan or a sharp swiss, with a splash of lemon and olive oil, don’t be fooled by the looks, you’ll be eating slice after slice of this pizza. Keep the sauce light and easy so you can pick up on each ingredient, you’ll forget that it’s healthy for you. Another reason why the basil plant is so wonderful, pesto is made from basil, parmesan, olive oil, pine nuts, and garlic. Pesto pizzas have been around for a while, but even here, the pesto is secondary to chicken, artichoke hearts, or large slices of tomatoes. With nutty flavors from the pine nuts and parmesan, balanced with the sweetness of the basil and olive oil, on top of a thin and light crust, all you need is a layer of pesto and a handful of parmesan and you’re set. Well, ok — you can add some chicken and tomatoes on there too. Another sideline ingredient that would leave many pizzas with a definite sense of missing something, oregano is a magical herb. 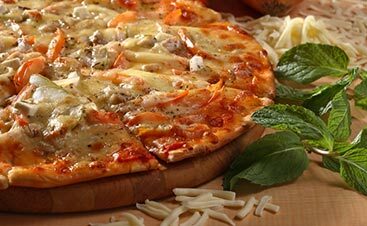 A big player in many sauces, it gives the pizza a distinguished scent and flavor that can’t be missed. 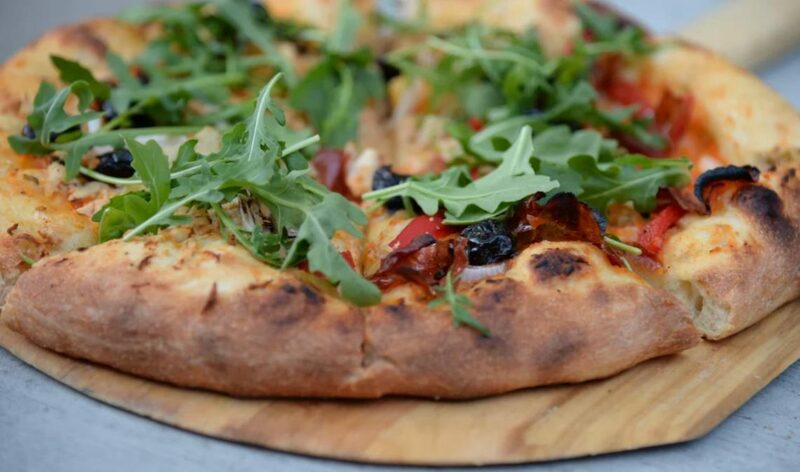 Even an extra dash on top and your pizza can experience new life. Add this to your next margherita and you’ll never go back. 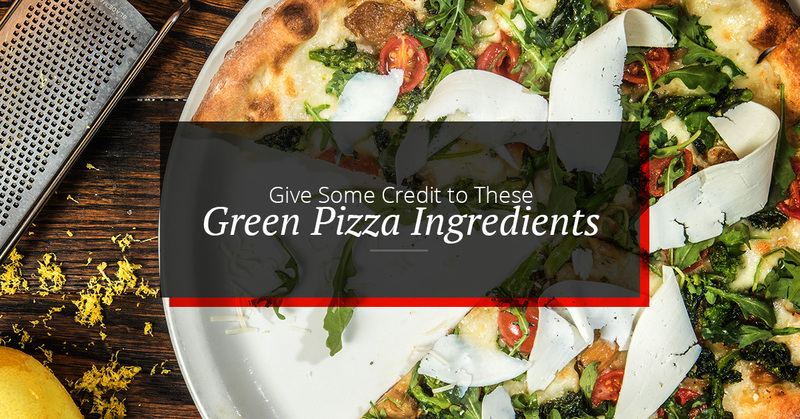 The next time you’re at a pizza restaurant, give these green ingredients another try before you put them in the salad category. 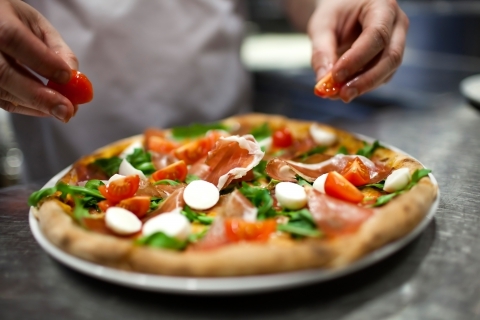 Upper Crust Pizza in Santa Fe is looking forward to seeing you and serving up pies that are made with only the freshest ingredients.